Welcome back to the Transparent Telephony series. 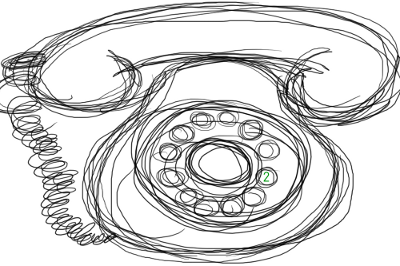 If you’re new, you may want to check out part 1 here: Transparent Telephony - Part 1 - An Introduction. This article will walk you through installing Asterisk on your CentOS or Ubuntu server. If you are going to install on a virtual machine to follow along, I recommend using VirtualBox, as everything should work out of the box. Certain virtual machine programs like Xen have kernel issues which makes installing Asterisk difficult. Also, never ever use Asterisk in production on a virtual machine! You’ll have timing issues (this will be explained later in the series). Before we get started, go ahead and install either CentOS or Ubuntu on your system. Update everything to the latest version. I’ll be showing you how to install the latest version of Asterisk stable, so we might as well update our operating system and packages. You can skip this step as Digium provides yum repositories which will automatically install the latest version of Asterisk for us as well as any dependencies. First of all, let’s install the appropriate kernel sources. We will need these to build against. To figure out what kernel version you’re using, run the uname -a command. You may also want to install ntp as it’s a safer alternative to ntpdate which most system administrators use to adjust the system time. DAHDI, the Digium Asterisk Hardware Device Interface, is very picky about system time, and has been known to crash servers which experience large time corrections. ntp will prevent this from happening as it will periodically adjust the time in small increments which is much safer than performing a single large time adjustment with ntpdate. If you’d like to install ntp, just run: apt-get install ntp. Now that we’ve got our dependencies worked out, it’s time to actually install Asterisk! We’ll install DAHDI, Asterisk, Asterisk Addons, and all of the Asterisk default sound files. We’ll also ensure that Asterisk starts at boot, and runs as a system service. As a disclaimer, these instructions have been largely taken from Digium’s website. They have excellent documentation for installing Asterisk using their yum repositories which I will be mirroring here. Clear your current yum cache: yum clean all. Make Asterisk and DAHDI start at boot. Then reboot the server to make sure they both start up: chkconfig dahdi on; chkconfig asterisk on; reboot;. Once the system comes back up, run the following command to make sure DAHDI and Asterisk are working properly: service dahdi status; asterisk -rx 'core show version'. To install Asterisk on Ubuntu, we need to compile it from source. Now that you’ve got DAHDI, Libpri, Asterisk, and Asterisk-Addons installed, your server is ready for production usage! Our next article will cover configuring Asterisk and making calls to the outside world. If you’re looking for some other great Asterisk documentation, you can’t do any better than Asterisk: The Future of Telephony, 2nd Edition. It’s the most thorough book on Asterisk that you can find, and will teach you everything you need to know to get started with Asterisk.